As the Architects, Barradas and Partners helped the Alumni Association win an Historic Ithaca Award of Merit in 2004. 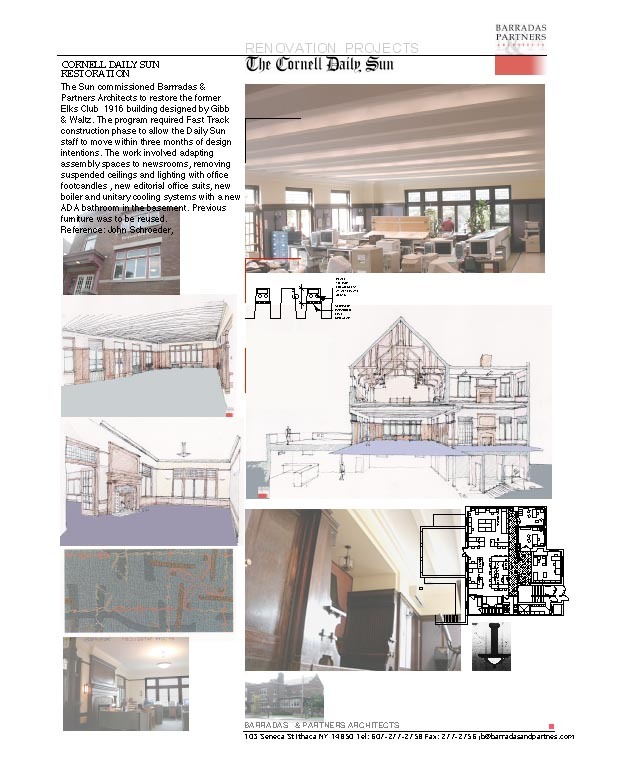 Our design and materials knowledge helped the Cornell Daily Sun restore and move their offices to the Benevolent Protective Order of Elks Lodge #636. Work included removing an acoustical ceiling on the main floor which was hiding the newsrooms' original beamed ceiling and classic motif ornamental plaster in the business office.